December – The paddle steamer SS Constitutionen, the first steam ship of Norway, arrives. 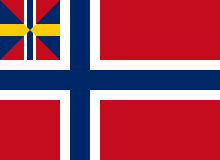 The ship was built in England for the State of Norway. ↑ Henriksen, Petter (ed.). "Constitutionen". Store norske leksikon (in Norwegian). Oslo: Kunnskapsforlaget. Retrieved 17 January 2012.